Ron Reimann, president of the Port of Pasco Commission, prominent Franklin County farmer and passionate advocate for Columbia Basin water rights, died Sunday evening when his farm vehicle was hit by a van near Kahlotus. Franklin County Sheriff Jim Raymond said the wreck happened between 6 and 6:30 p.m. on McClenny Road near the Pasco-Kahlotus highway, near T & R Farms. Reimann, 74, was riding a quad-style vehicle west on McClenny when he was hit from behind by a 2001 Chrysler van driven by Pedro Rubi-Juarez, 30, a local resident. Reimann died at the scene. Rubi-Juarez was booked in the Franklin County jail for no valid operator's license or identification, a misdemeanor. He appeared Monday before Judge Jerry Roach in Franklin County District Court and was released without bail. Reimann was raised on a dryland farm in Ritzville and established T&R Farms in Moses Lake in 1968 with his wife Rella's twin brother, Ralph "Porky" Thomsen. T&R moved to the Pasco area in 1973 and established an irrigated farm, growing row crops, grains, peas, wheat, field and sweet corn, potatoes and various tree fruit. The operation is under contract to sell, Thomsen said Monday, noting they were both ready to retire to other interests. Thomsen said he liked Reimann as soon as Rella introduced him to her family, and his father felt the same. His mother was less certain, thinking her daughter was too young to marry. "It took him a while to win her over," Thomsen recounted. Port officials remembered him as a community leader whose interests extended well beyond his farm. Reimann won a six-year term on the Port of Pasco commission in 2011 and took office in January 2012. "We will very much miss Ron," said Randy Hayden, the port's executive director. "He was a wonderful man." He served on the Warden and Star school boards and the Franklin PUD rate advisory committee. He also served as president of the Washington State Potato Commission and the Columbia Snake River Irrigators Association. He famously had a Chinese symbol for water tattooed on his right forearm. Earlier this year, Reimann and his wife were honored at the Oregon/Washington Potato Conference with the 2017 Industry Leadership Award. 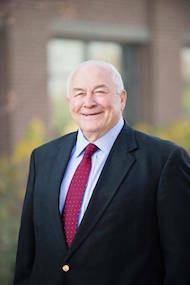 Dale Lathim, executive director of the Potato Growers of Washington, said Reimann played an influential role as both a grower and an irrigator. "Ron made people think. He was not afraid to play the devil's advocate," Lathim said. A year ago, as president of the irrigators association, Reimann blasted U.S. District Judge Michael Simon in a Tri-City Herald column for an order remanding operations of the Columbia-Snake River Hydro System under the Endangered Species Act. Simon of Oregon ignored two years of adult fish returns above the McNary Dam on the Columbia River and the Lower Granite Dam on the Snake River, Reimann argued. He called on the Northwest governors to exercise their prerogative under the ESA to convene a committee, or "God Squad," with the power to exempt operations from further mitigation. "The governors should end this legal purgatory," he wrote. "Some godly righteousness is needed." Darryl Olson, board representative for the irrigators association said it was too soon to talk about Reimann's contributions. But Franklin County Commissioner Bob Koch, whose district includes the county's agricultural areas, remembered his passion for water rights. "It's hard to even talk about it," Koch said. "He's been such a water advocate." Reimann is also survived by his son, Reid, and granddaughter, Anastasia.